Editor’s note: Today’s post comes from Sy Zahedi, CEO of MedXM, which works with health plan providers to offer preventive care and health education to patients. MedXM is using G Suite and Chrome to operate more efficiently and help outreach agents and clinicians improve care for patients. Every day, 5,000 MedXM healthcare workers visit patients in their homes or in nearby clinics. Our clinicians and health aides make sure patients are taking medications, following doctor instructions and making progress in managing chronic conditions like diabetes and high blood pressure. We believe that focusing on things like prevention, education and early detection will keep our patients healthy, and detect or deter illnesses before they become critical or require hospital stays. Meeting with patients face to face is our strategy for keeping people healthy. That’s why we rely on technology to remain connected with our patients. Our outreach center agents need to be able to field calls from patients with questions or emergencies. Other employees communicate with health insurers about our wellness programs or to obtain documentation on patient progress. To meet our mission of delivering great person-to-person care, we chose G Suite, Chromebooks, and Chrome browser. Switching to faster, more secure applications. Before Google, we relied on laptops equipped with Microsoft Office. Healthcare workers and remote employees had to use VPNs to log in to our network. The process was slow and not user friendly. Plus, we plan to hire more remote workers in the future, so we needed easy and secure tools that allowed workers to share and update documents no matter where they were. Once we determined that G Suite could allow employees to securely communicate with each other and with healthcare providers, we rolled out Gmail first, then moved on to Google Drive, Google Docs and Google Hangouts. We also deployed Chrome browser across all worker computers. Switching employees and outreach center agents to G Suite took very little time—many of our employees already used tools like Gmail and Google Docs at home. And once our IT team showed employees how multiple people could work on a Google Sheets spreadsheet at the same time, they never wanted to use anything but Google Sheets from then on. 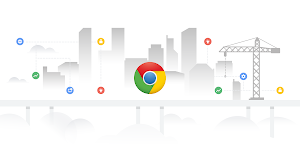 Since we began using G Suite and Chrome, productivity increased significantly, while software costs decreased by 40 percent. Since staff can share information with clinicians using Google Drive, employees no longer waste time with complicated VPNs when they need to upload work orders to healthcare providers. Plus, they can complete routine tasks faster, such as filling out vacation requests in Google Forms instead of passing around sheets of paper. Switching to Google also reduced the workload for the MedXM IT team, which used to spend about 25 percent of its time supporting legacy desktop applications. 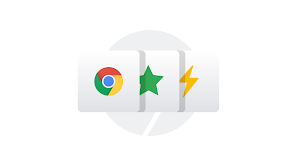 Today, they need to provide very little support for G Suite so they can spend more time on creative projects, like using Google Apps Script to create custom dashboards for staff. After adding up all of the benefits of using G Suite and Chrome, we’re taking the next step: replacing our outreach center and clinician computers with Chromebooks. Because Google makes us more efficient, employees have more time to spend caring for patients. With more time tending to patients’ needs, we can fulfill our company mission: preventative healthcare, education and early detection. Now that’s good medicine.